Very good location close to the shops and the city of Kaunakakai. The condo is located right in front of the beach with beautiful lawns next to the swimming pool. Great Location on the beach. Although not really a swimming type beach. Grounds were well kept and attractive. The living area was hot but the bed room was cool. Appreciate the place to rest for downtime. It's close to town so getting something to eat was easy. The grounds were well maintain. Room was nice. The unit is very close to the water and the grounds are lovely and very well maintained. Nice size and layout is good. Close to town. Very comfortable. Excellent location. Very well furnished. A quiet older condo with 70's to 80's design sense and appliances. Gas stove. Cupboards a little on the old side. Located on the first level near the pool, handy to walk over for a swim. A constant breeze moves through the apartment to keep it cool and makes it easy to sleep. Best for older adults and/or retired adults. Some young families but not a lot of stuff to keep kids ammused. The restaurant at the Hotel Molokai was very nice for dinner. People who lived at the development were very friendly and welcoming. Beautiful ocean view. It was a good space enjoyed my stay. Clean and tidy. Had all the amenities provided!! 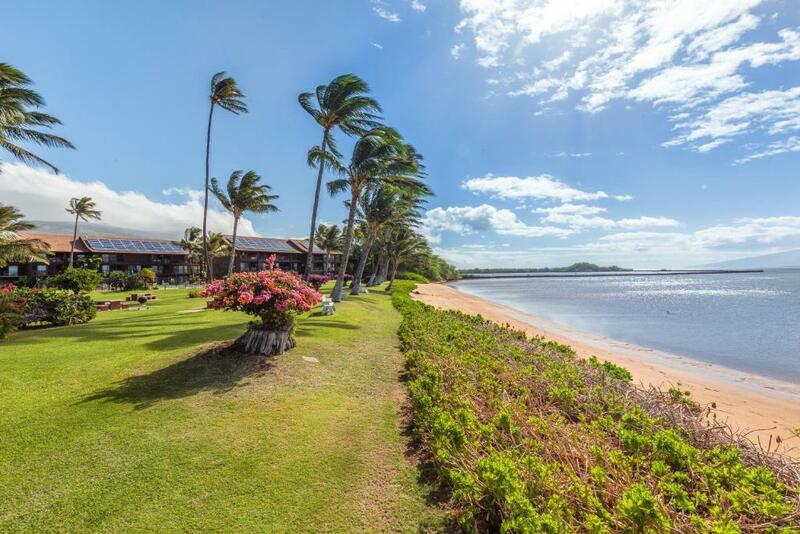 Castle Molokai Shores This rating is a reflection of how the property compares to the industry standard when it comes to price, facilities and services available. It's based on a self-evaluation by the property. Use this rating to help choose your stay! 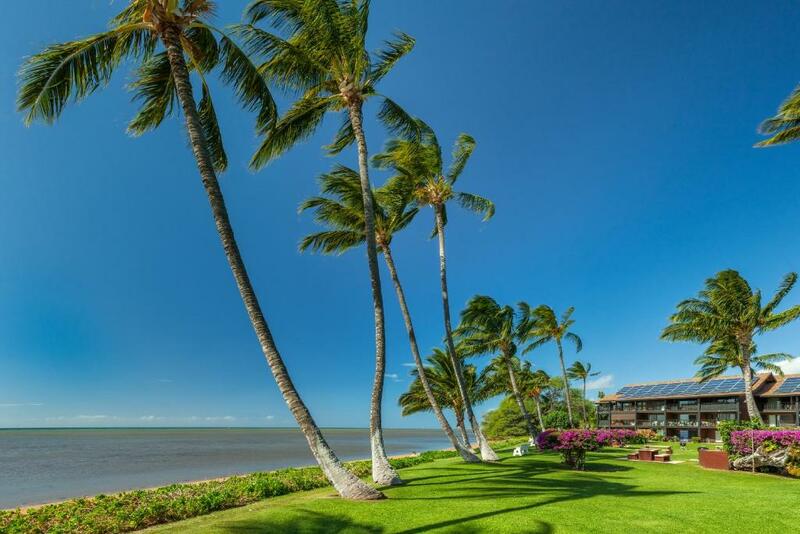 Located on Molokai’s south shore, this oceanfront Kaunakakai property features access to a white sand beach and an oceanfront outdoor pool. All apartments offer a balcony or patio with ocean views. A fully-equipped kitchen with cooking utensils and a rice cooker is standard in each apartment at Castle Molokai Shores. A seating area with cable TV and ceiling fans are also included. BBQ facilities, a picnic area and a shuffleboard table are available for guest use. A hair salon is located on site. 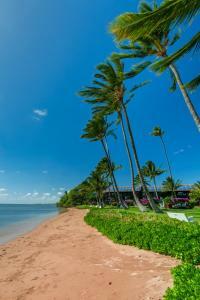 Shopping and dining at Kaunakakai Town is half a mile away. Kaunakakai Ferry Terminal is 2 miles away. Molokai Airport is 8 miles away from Molokai Shores Castle. This property also has one of the top-rated locations in Kaunakakai! Guests are happier about it compared to other properties in the area. 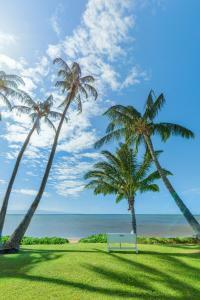 When would you like to stay at Castle Molokai Shores? Featuring an ocean view from the balcony, this apartment offers a fully-equipped kitchen, seating area with cable TV and ceiling fans. 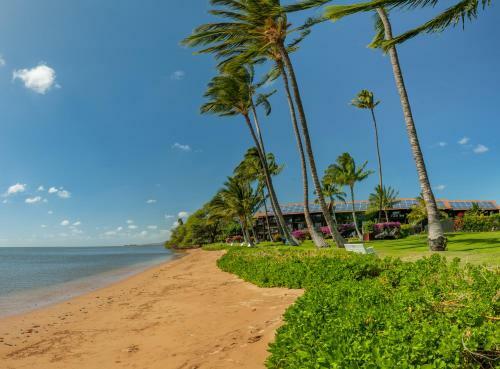 Molokai is a truly unique location among the Hawaiian Islands, where time left it relatively unchanged, preserving the heart of its Hawaiian landscape and lifestyle. 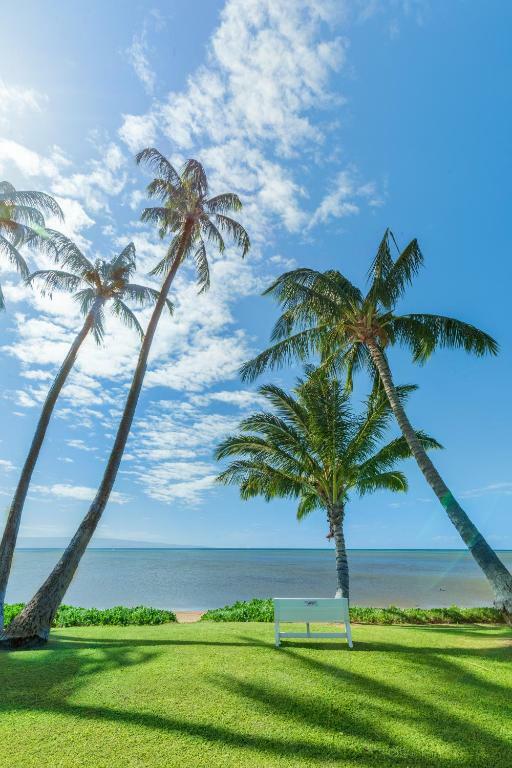 Molokai Shores strengthens that bond with land and ocean, aloha and serenity as it sits on Molokai's south shore. Unwind in spacious one- or two-bedroom ocean view and oceanfront suites, and leave your worries behind. 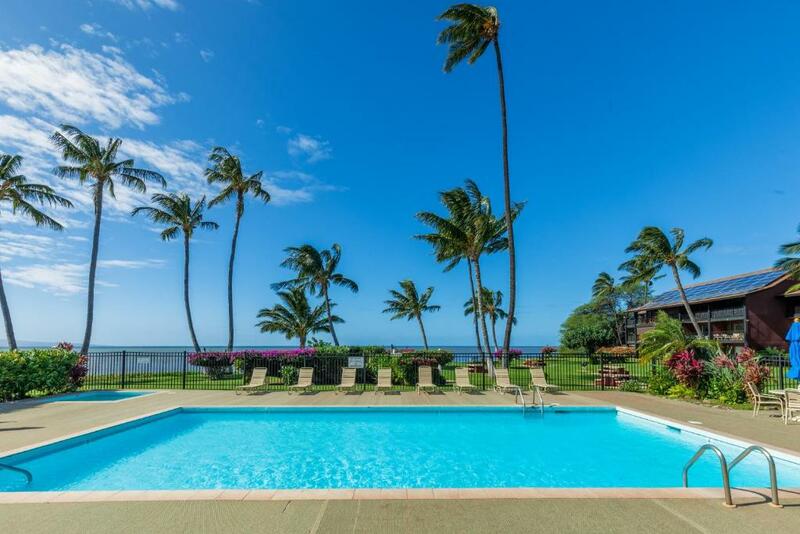 Take a dip in the ocean or the large oceanfront pool. 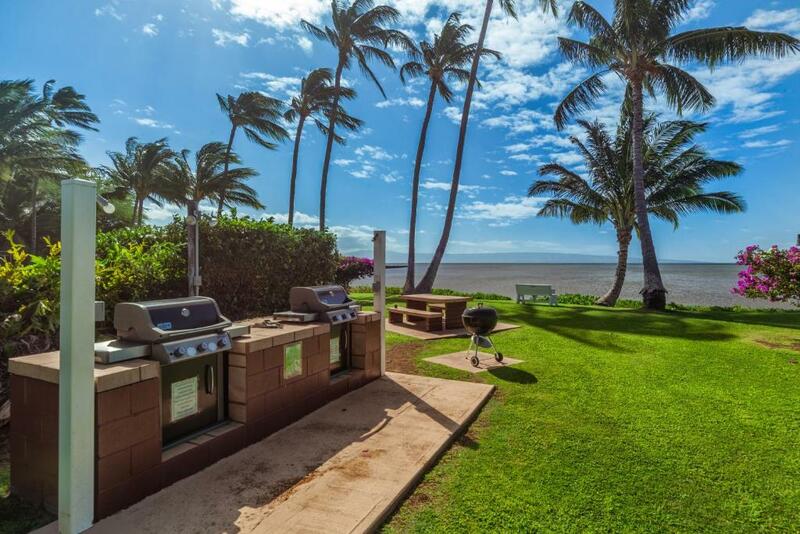 Spend a lazy afternoon barbecuing and having a picnic in the grassy courtyard. You can get your hair done at the hair salon or let your beard grow as long as you want to. And if you must, high speed Internet access is available and complimentary in the public areas so you can still keep in touch with the rest of the world. Molokai is a truly unique location among the Hawaiian Islands, where time left it relatively unchanged, preserving the heart of its Hawaiian landscape and lifestyle. It is a rural Hawaii, where there are no traffic lights or shopping malls and aloha is spontaneous and natural. 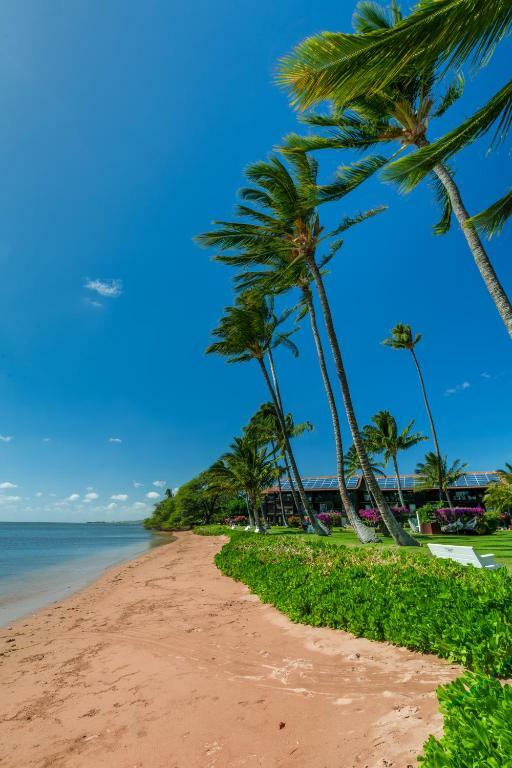 On the island's south shore, the oceanfront Molokai Shores is located on four acres of beautiful tropical landscaping, with an expansive lawn that leads to the beach and dramatic views of the Islands of Lanai and the Kaloko'eli fishpond. Unwind in spacious one- or two-bedroom ocean view and oceanfront suites, and leave your worries behind. As much as Molokai's rustic charm permeates your surroundings, you are located at the only condominium in the largest town on the island, Kaunakaki. Just big enough to get a quick bite to eat, or go shopping for groceries and necessities. Make the most of your fully-equipped kitchen and living space to maintain your lifestyle, while being a bit adventurous to try the various local delights. 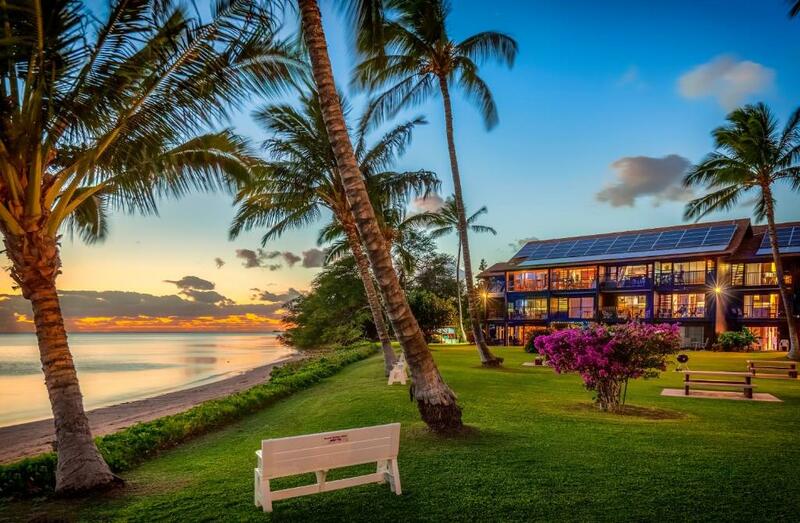 House Rules Castle Molokai Shores takes special requests – add in the next step! 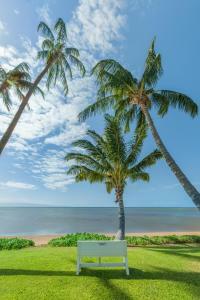 Castle Molokai Shores accepts these cards and reserves the right to temporarily hold an amount prior to arrival. Lock box codes will be assigned your arrival, if you arrive after business hours. Please contact Castle Molokai Shores directly for late check in procedures. Reception hours are from 08:00 until 20:00. Please note that check-in and key collection take place at: 109 Ala Malama Street Building D, Unit A, Kaunakakai 96748. No in-room safe. No curtains in the bedroom so bring travel/sleep goggles. Ear plugs are handy as the roosters start crowing early and the highway is nearby. Small ants in the bathroom but these are common in the tropics and don't bite. The mattress is really not comfortable and you felt like being run over by bus after the first night. The crockery was nonexistent and the cutlery was rusty. All noises coming from outside or from the neighborhood could be heard in the apartment which can be disturbing at night. The unit is for sale so any homey amenities have been taken out: few dishes and glassware; no cutting board; light bulbs not replaced. Wouldn’t take much to make it better. Computer hookup worked about 50% but that could have been Molokai. The unit had a strange odour and was quite dated. Unit A204 is very dated. Dingy feeling. Dirty, stained worn out carpet. Screens and window coverings really need to be put into functional use.This unit really needs a remodel. No pride in ownership. The directions were wrong said it was in building D that isn't even existing. The late night check in number was hidden and faded on the side of building of the office. Only reason we found it was because of a very nice resident. The unit was the filthiest room ever! This unit should be taken off the rental until remodeled. The carpets were stained, dirty and need replaced. The door to the Lani stuck and the outdoor carprt need replaced. Stained badley.The doors were chipped on the bottoms. Stuff under chairs that had not been moved to clean. Had to use sheets to put on furniture. The lamps did not work even after plugging them in. No directions on how to use TV and wifi and no soap only shampoo conditioner and some prior residents conditioner. i came on Sunday 12/28 and it was very difficult to figure out how to get into my room. The office was closed and there were no signs on what to do. After an hour, I found a non-English speaking maid who using mostly hand gestures directed me to an office downtown. The maid was nice, just difficult to communicate with. Exact instructions on the office door and by email would have prevented this. Room was great as well as the value and location. Even though office was a two minute drive away, wish I knew before hand to check in there before heading to the hotel. Big roaches. Ants. Old fixtures. Old microwave. Bathroom fan too loud. The neighbors were very loud and noisy!!! There was no staff to help out. The bath wouldn’t drain after the first nights shower!!!!!! !